Servas is an organization whose main purpose to promote peace in the world. Servas facilitates the meeting of individuals from different cultures by having a host and guest component. The organization checks into each new member applying to see if he/she would be up to the task of hosting such international guests or or to stay in the homes of others. You can apply to be a host or to be a traveler. Here is a way to not only meet but get to know someone from another culture. My feeling in travel is that I learn as much about the country from those who live there as I do from seeing the physical sites. As a guest you are not to expect your host to pay for personal items or to buy tickets for you. As a guest you are not to pay for your stay but certainly to reimburse your host for items purchased on your behalf. With Servas you are expected as a host to show your guest the area or how they can do it on their own. As a guest you are expected to have conversations with your host. When I was active in the Esperanto (International Language) movement, there was Passport Servo which had allowed members to request to stay with other members or to host other members. I hosted many from a variety of countries. I also stayed with other Esperantists in Austria, Australia Brazil, France, Peru and the UK. When I had the opportunity to travel to India, the thought came ringing back to me. I want to meet the people who live there, not just taxi drivers or merchants in a store. 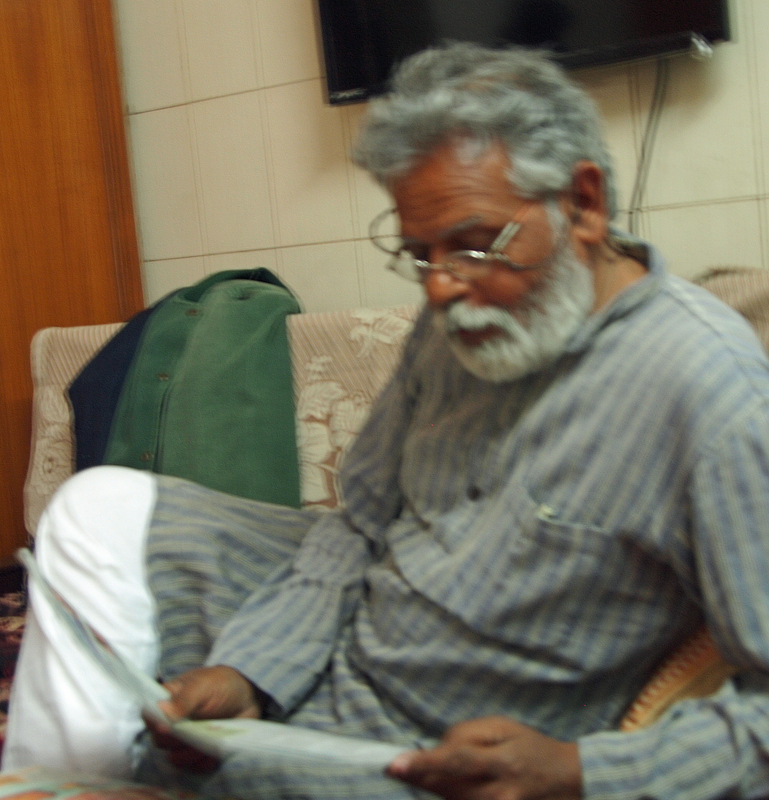 In Sarnath, not far from Varanasi, I met Dr Jain who runs a small guesthouse. 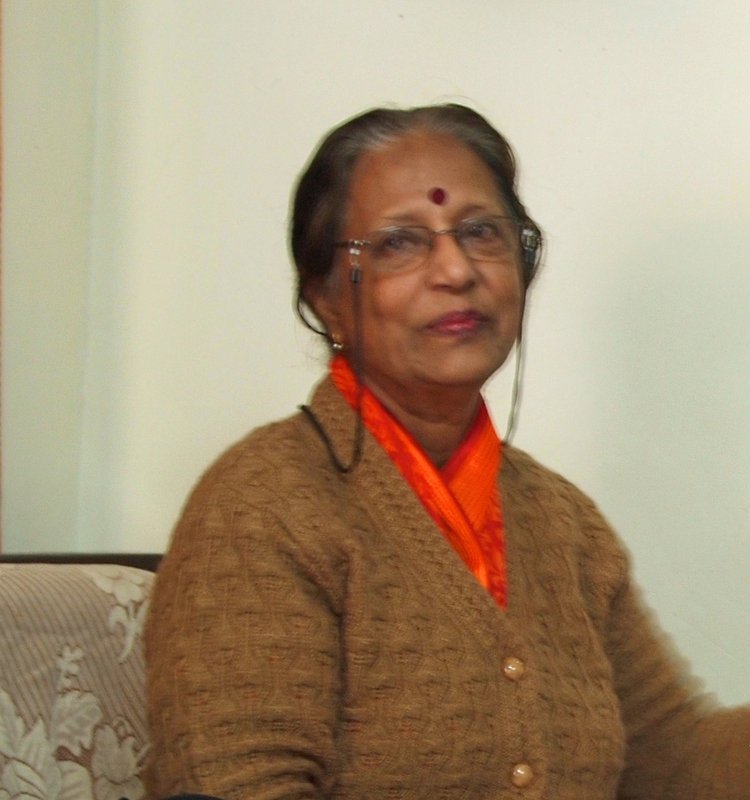 Saroj, Dr Jain’s wife made wonderfully delicious vegetarian meals. Both made me feel so welcome and comfortable. Dr Jain and Saroj are so very kind to everyone they meet. It is something that you sense immediately. I only spent one overnight there but I still feel the effects of the caring people I met and talked there. Dr. Jain seems to be catalyst for bringing about necessary action that will help others. Specifically to enable both girls and boys to have an education. Many families can not afford to send their children to school. Also to set medical clinics to provide for those children’s health needs. These are outlined in detail in the link below. Others, I also met in that one brief afternoon at Dr. Jain’s guest house were a woman concerned with care of the cows. It appears that though the sacred cows can wander where they will, there is no one who supervises their care. It is in fact quite frightening to see cows wandering the streets and even on the highways. I met another person who was interested in seeing if some of the many stray dogs all over India could be adopted by families. I may not have mentioned this but in every city I visited, I was surprised by the number of stray dogs in the streets. They were often lying on the pavement. I was not sure if they were asleep temporarily or permanently. 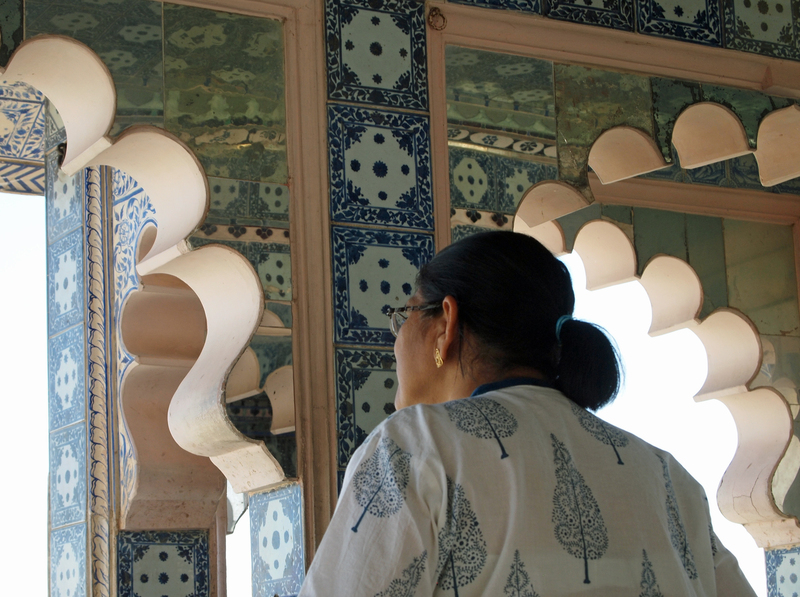 In Udaipur, I stayed with a lovely Servas family. The wife of the couple was also an artist but additionally had taken on several projects of her own. She told me that in India, private schools were now obliged to offer 20 percent of their enrollment to underprivileged students. She told me that these children spoke only Hindi at home while all their school classes were in English. So, of course, it was most difficult for them. Renu is teaching them English and getting reports back of how well the students are doing. The children she is tutoring seem to adore her and realize what she is doing for them. Renu is also active in getting a garbage collection service organized in her area. I was quite appalled that all over India there are patches of ground that are covered in paper trash and waste. Note: I will be writing more of my experiences with my Servas host the family in Udaipur in the near future. In Noida, not far from Delhi, I stayed with another Servas couple. Ravindra is an artist and sculptor so of course, we had much to discuss. But his caring came to the surface, when he told me that he was tutoring a fifteen year old student who had mental challenges. Ravindra was teaching the boy how to make clay models and showed me some of the boys’ s work. How wonderful for the boy to see something positive he had made. 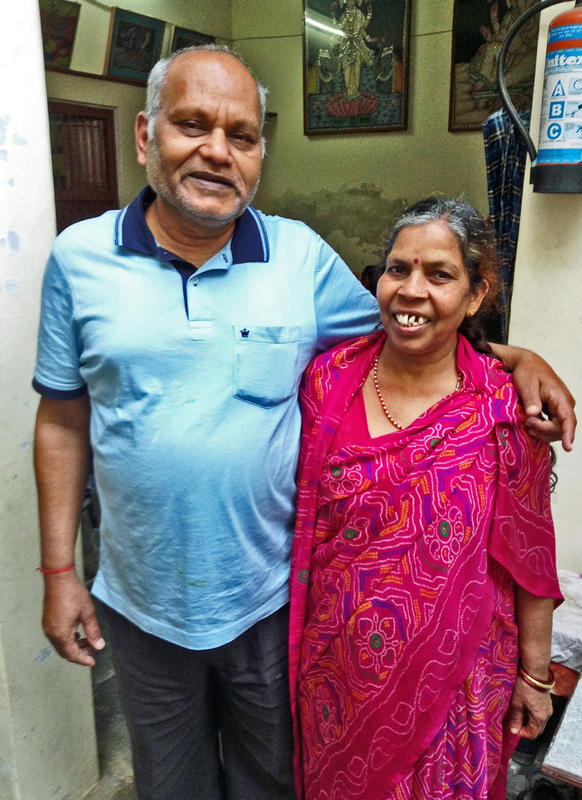 Ravindra’s wife, Shyamali acts as a full time caregiver to her elderly mother who lives with them. Shyamali told me that her mother had a breakdown after the death of her husband. In India it is quite hard for widows but I think things are much better now than in the past. More about these wonderful Servas hosts when I write about Noida in the near future. I still marvel at the extraordinary kindness of the people I met in India. This entry was posted in cultural experience, Friendship, health facilities, travel, Travel in India and tagged contemporary, Esperanto, family life, Inspiration, kindness, life changing event, Servas. Bookmark the permalink.